I cone not get over this. I stumbled upon the upcoming hit cone-making enterprise. Here I am on a typical day scrolling through Instagram and salivating at all of the foodstagrams on my feed. As I’m clicking through and finding more food blog accounts, I land on The Konery. I thought their Instagram feed looked fun, so I decided to look up their website. I go online and am brought to this beautifully laid out site. I decide to email the company, being that I was currently unemployed and was applying anywhere and everywhere for a summer job. My jaw proceeded to drop since I am a University of Delaware student studying Hotel, Restaurant, and Institutional Management (quite the mouthful, therefore, HRIM suffices). I thought, “how crazy is it that I found this connection simply from procrastinating my homework and stalking food blog accounts on Instagram…everything happens for a reason, am I right?” We set up a phone interview and it took off from there. On the phone, Kristine brought up asking if the school had set up this connection but I responded saying it was actually from Instagram. I mentioned how my spring break was the following week and I live semi-close to Brooklyn, where she is located out of, and would love to meet her in person. She was happy to take time out of her schedule to meet with me and give me the inside scoop on her business. Kristine told me how she had a high-paying job but decided to pursue her dream of making waffle cones and having her own business. At first, she started the business while still working at her full-time job, then came to a realization to make the cone business a commitment. She and her mother made it on a show called Restaurant Startup that aired on CNBC, where they got to pitch their idea and see if investors would be into it. 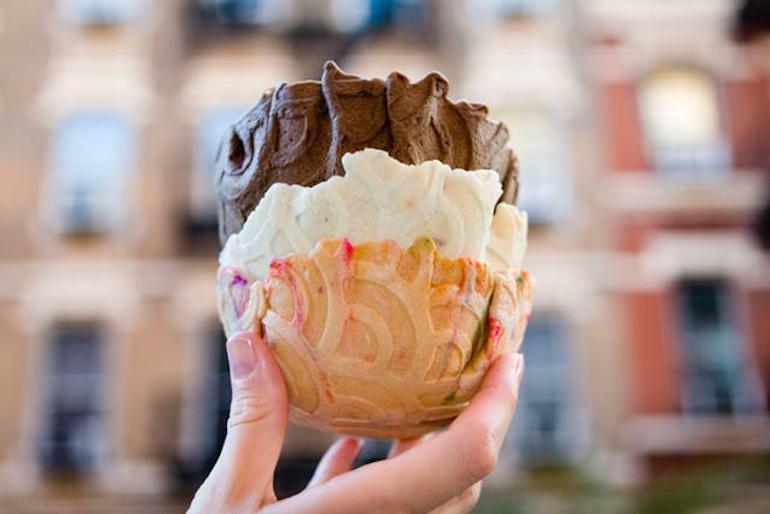 For the show, Kristine and her mother went to California for filming and pitched their idea of savory waffle cones – for example, a parmesan waffle cone filled with meatballs. The investor ended up wanting 51% of the company but Kristine didn’t want to give up too much, so they declined the offer and she went on pursuing her original vision of ice cream waffle cones. But don’t let this fool you – she still does outrageous flavors, including Moscow Mule, and is always coming up with something new. Her best seller is Birthday Cake (my personal favorite, also). As said before, her factory is located in Brooklyn, New York where she grew up. She does it all with her two retired parents: from making the cones and packaging to the expenses and cleaning up the space. 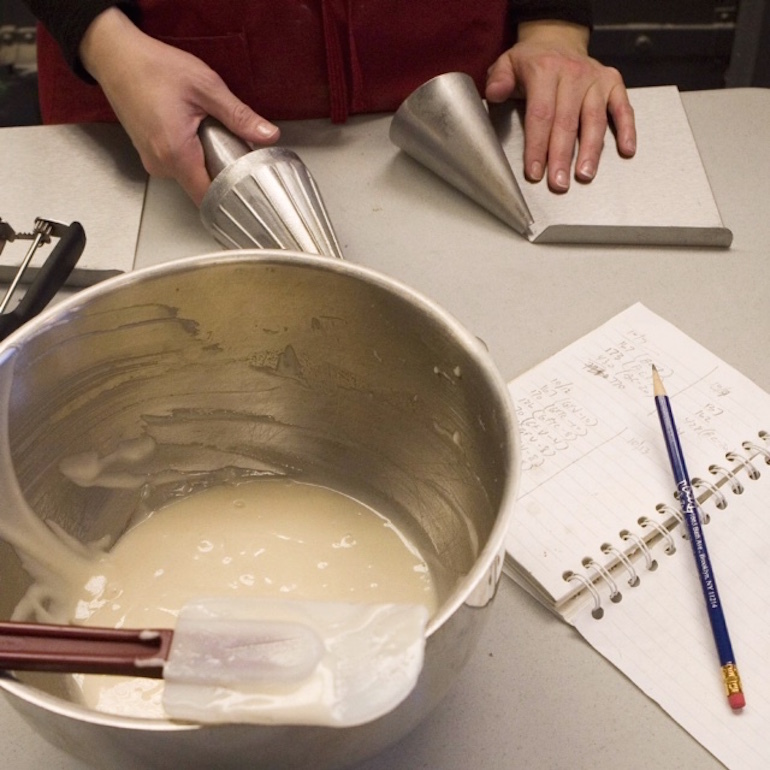 Her factory is bustling, especially for the upcoming summer season when cones are most needed. I expected it to be a storefront, but in fact, they simply sell wholesale to artisanal ice cream companies, such as Ice & Vice. 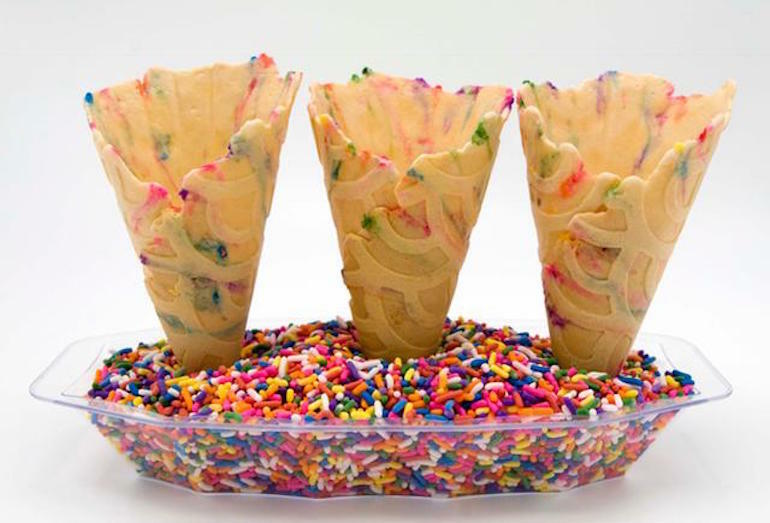 And not to mention, these cones can be found in ten Bloomingdales stores. Kristine is hoping to expand to the south and west parts of the States so that she can get out of the seasonal work and have her cones be in full force year-round. When I asked Kristine what her favorite part of the job was, she mentioned how being her own boss is especially rewarding when something goes correctly. When she was working for a company and gained a customer it was to benefit the company she was working for but now she is the company, so it’s a more direct feeling of pride. Kristine mentions that she certainly learned a lot from starting her own business: “Lots of trial and error for sure, and risk.” She’s grateful that her retired parents, whom also reside in Brooklyn, are there to help her. Her latest exciting news? The Konery recently signed with, and will be sold at Whole Foods. 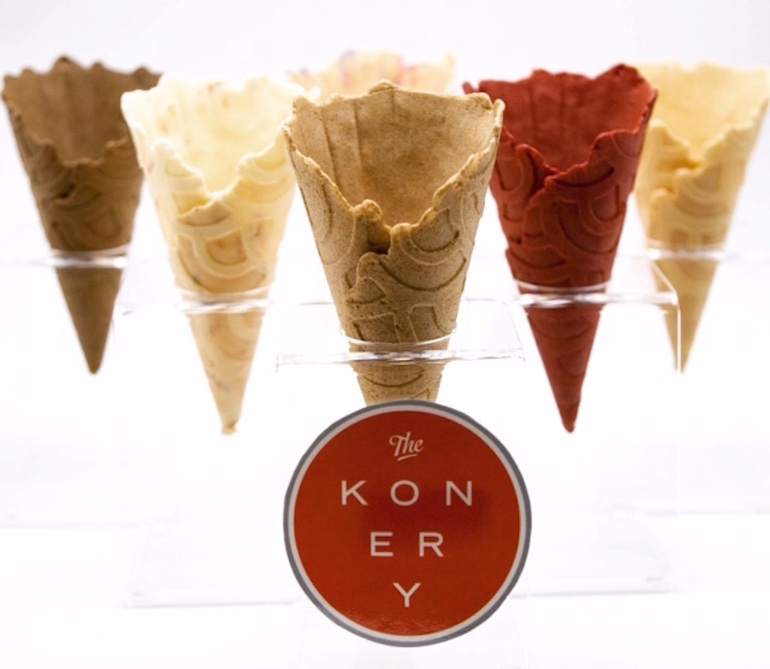 Be on the lookout the next time you’re in an ice cream shop to see if The Konery cones are being sold there – they are a must-have to complete the all-time classic dessert.